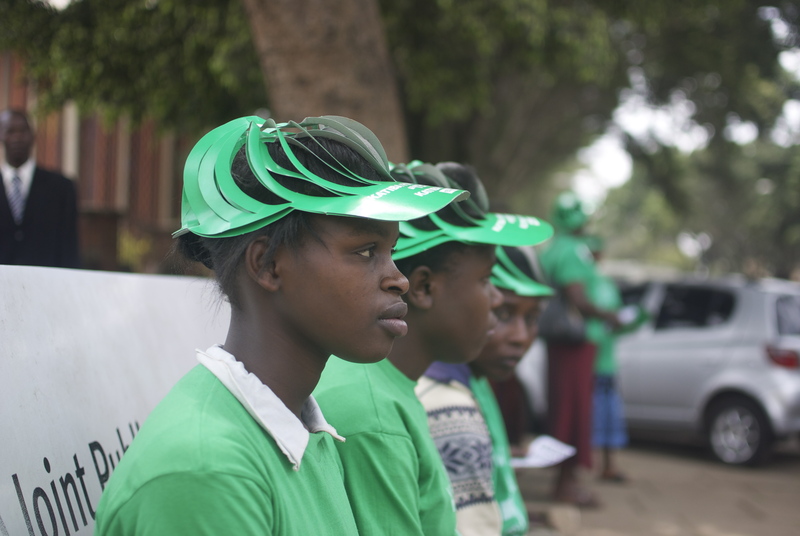 Look at these beautiful Kenyan women in green who took the streets last Friday to support YES for the Kenyan Constitutional Referendum coming up tomorrow, Wednesday, August 4th 2010. I have seen and photographed many protests and rallys, though because of the difficulties in Kenya of actually getting permission to hold a rally, the controversy over this referendum, and the potential for violence tomorrow, it was a very special moment when hundreds of women walked from Uhuru Park (downtown Nairobi) to the Kenyatta International Conference Center dancing, laughing, smiling and empowered! 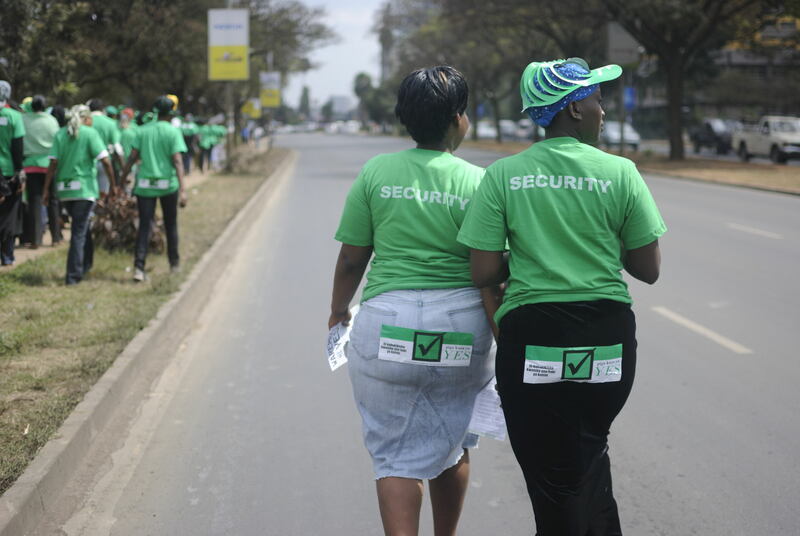 Even the security, as you can see by the shirts below, was done by women the entire day! 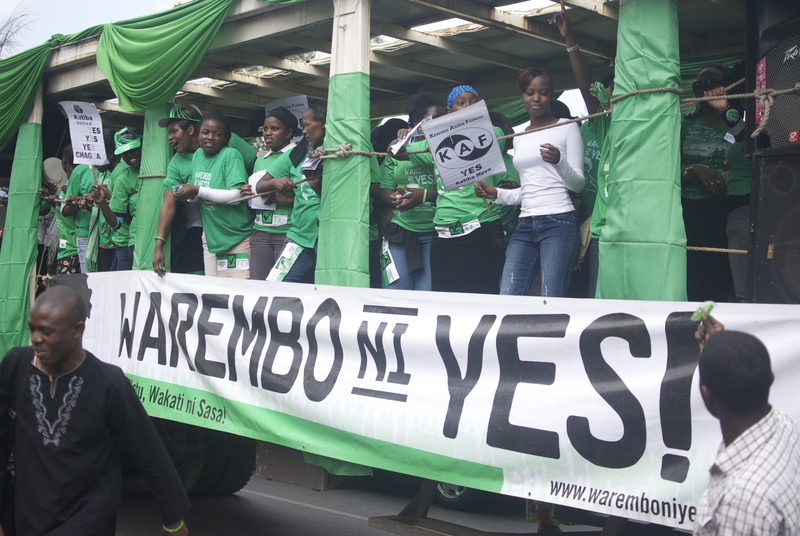 ‘Warembo Ni Yes!’ is a movement of young and diverse women supporting the proposed Constitution of Kenya. They are non‐partisan and represent different economic backgrounds, ethnicities, religious beliefs, sexual orientations, gender identities, races and abilities. 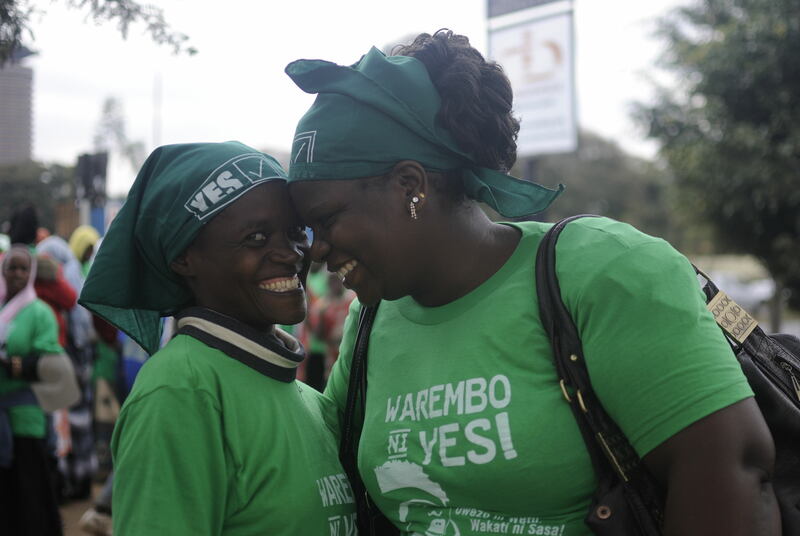 What does “Warembo Ni Yes” mean? 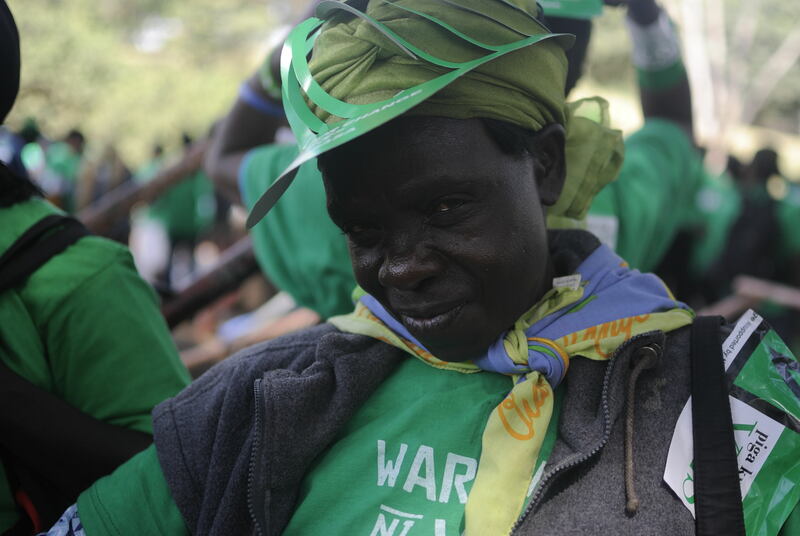 “Warembo” means beautiful people. Beautiful people are for YES! And as you can see by these photos, these women are truly beautiful and it was a pleasure getting to know some of them last Friday. 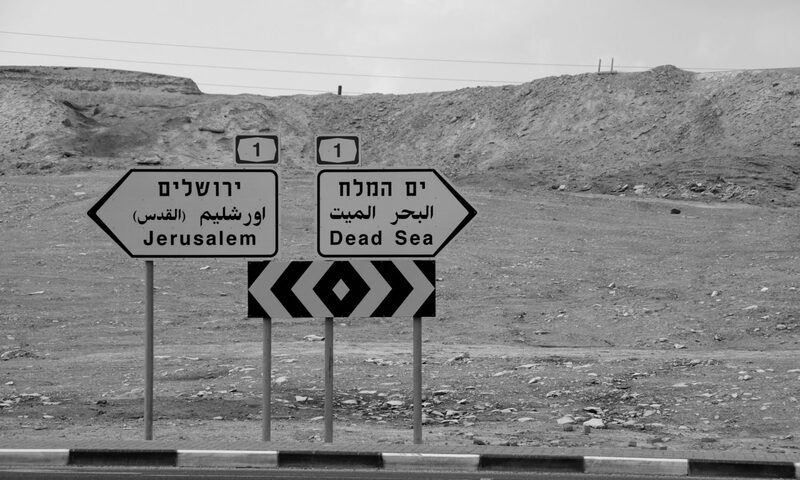 We hope for the best!Peace very important! Thanks for the update, Amy. Amy, Keep up the good work. You are wonderful and doing a great job! Thank you for sharing these beautiful pictures & for blogging about our rally! 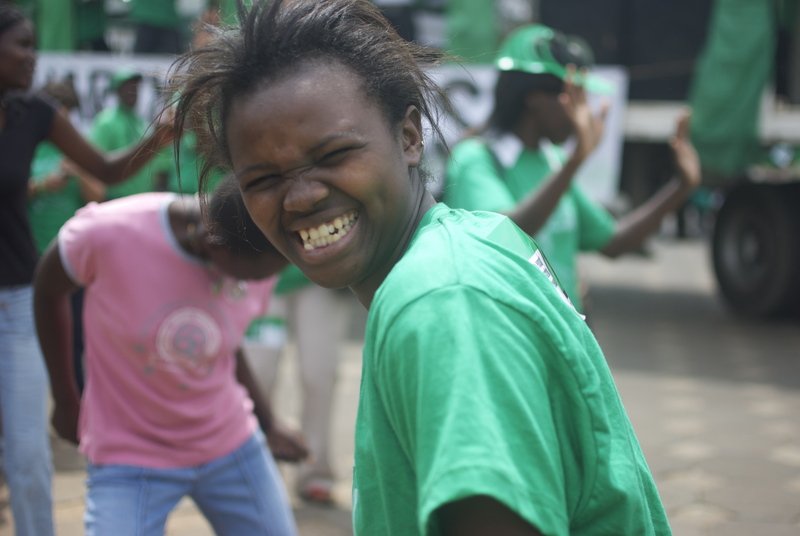 We hope we can continue to mobilise young women in Kenya to push for change. 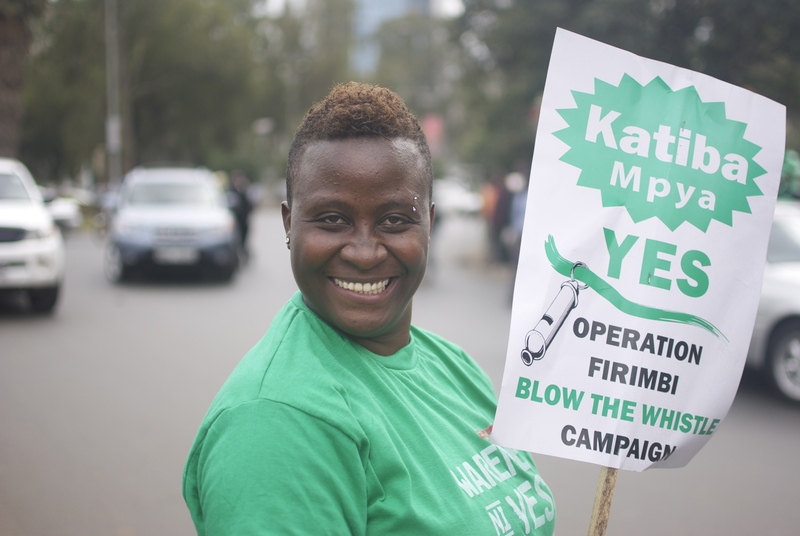 As our slogan goes, Uwezo ni wetu, wakati ni sasa! Beauty to us is far beyond physical, it is about the inner beauty of the african woman – determination, power, resilience, patience, innovation, etc etc. We welcome all who share our vision to join us.